Most consumers in the UK look to the six biggest energy companies for their gas and electricity needs. For consumers hit by increases in fuel costs, however, consumer groups and price comparison websites say that smaller energy suppliers may offer a better alternative. Most energy suppliers have raised their prices, with the cost of natural gas rising even more rapidly than electricity. This has seriously affected many households, who now find themselves struggling to make ends meet. 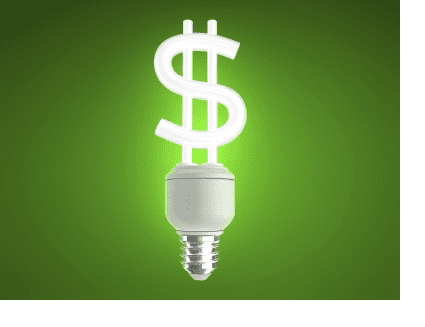 Fortunately, there are plenty of ways to reduce energy bills, such as using energy more efficiently, installing more economical appliances such as high-efficiency boilers, fitting or improving insulation, and switching to a more favorable tariff. Despite the wide range of different tariffs on offer, surprisingly few energy customers have chosen the last option and switched to a different tariff, let alone sought out a new supplier. In many cases, customers assume that they’re already on the cheapest tariff when this is not actually the case. It’s a good idea for those wishing to save money on their energy bills to find out if they could be paying less for their energy elsewhere. Price comparison websites are very helpful here, allowing users to make an at-a-glance comparison between their current tariff and other tariffs offered by their supplier or suppliers. They can also reveal whether a household’s current supplier is offering the best deal, or if it would be better to obtain energy elsewhere. In some cases, there may be a significant difference. Households who get their gas and electricity from different suppliers would be especially well-advised to investigate cheaper tariffs. Switching to a bundled deal from a single supplier is often more economical than even the lowest tariffs from two separate energy providers. When looking for a new energy provider, it’s important not to overlook smaller suppliers. Many customers are understandably cautious about switching to a less well-known company, fearing poor service, disruptions in supply or the possibility that the company will go under without warning. Avoiding smaller companies might be a mistake, according to consumer watchdogs. The Which consumer group lists several smaller energy providers among both the cheapest and those offering the greatest customer satisfaction. In the unlikely event that a company should cease trading, consumer experts state that their customers would not experience significant disruption. The energy watchdog, Ofgem, would step in to ensure that their accounts were switched over to a new provider. At worst, such a situation might result in being moved to a provider with a slightly higher tariff than the one offered by the defunct company. Large company, reseller or small one ? It’s true that large energy companies benefit from the economies of scale. When it comes to setting prices, though, other factors are at work. One significant advantage that smaller suppliers have over larger ones is that they are exempt from the government’s green levy. As long as an energy supplier has fewer than 250,000 customers, it doesn’t have to pay the levy. In many cases, this allows smaller companies to offer cheaper energy. Many small companies do not actually generate their own energy. Instead, they buy energy from other companies and resell it. While this isn’t always a point in their favour, customers of resellers sometimes benefit from the greater flexibility enjoyed by such companies. An electricity generating company needs to invest in infrastructure. The prices it can offer its customers are likely to be affected if a particular fuel used in a significant proportion of its power stations happens to fluctuate in price. Resellers, on the other hand, can look around for the cheapest energy to resell, passing savings on to their customers. In conjunction with energy efficiency measures, switching supplier can be the smart solution to fuel bill woes. Visiting an energy price comparison website could be the first step towards a warmer, less expensive winter. This article was contributed by Sam Jones. Sam suggests to readers to visit price comparison websites such as uSwitch.com for some great deals. Previous Freelancers: What Could an Accountancy Firm Help You With? Next How Can You Overcome A Credit Hangover? I changed over my energy provider at Christmas, and went over to SCOTTISH POWER – LOL. They announced yesterday that bills would go up in August by 10% for lecky and 20% for gas. “Damn and drat” was my 1st response, “should have stayed with the ‘other’ leeches NPOWER”. But on further examination of my switch, I noticed that I had ‘capped’ my new energy bill for 2 years when I changed over. That means they cannot increase my bill, so looks like I was still the winner after all – for now! I saved £200 a year initially by swapping, but even more due to price increase differentials, and it took me about half an hour to swap. Did it all through uSwitch.com on-line. Will the people of the UK now MOVE energy providers and CAP theirs, and stop giving these blood-sucking utilities so much money? COME ON BRITAIN, just do it, it was so easy. But do it soon, because all the other blood-suckers are going to increase your bills very soon now. Tell ’em Foxy told you about it though! I might get a nice Brucie bonus then. I want to start price comparison website and i was wondering how can i get data feeds to my website.